More retailers are coming to Fort Oglethorpe as a developer breaks ground on another shopping center that will include the third Buffalo Wild Wings restaurant in the Chattanooga area. 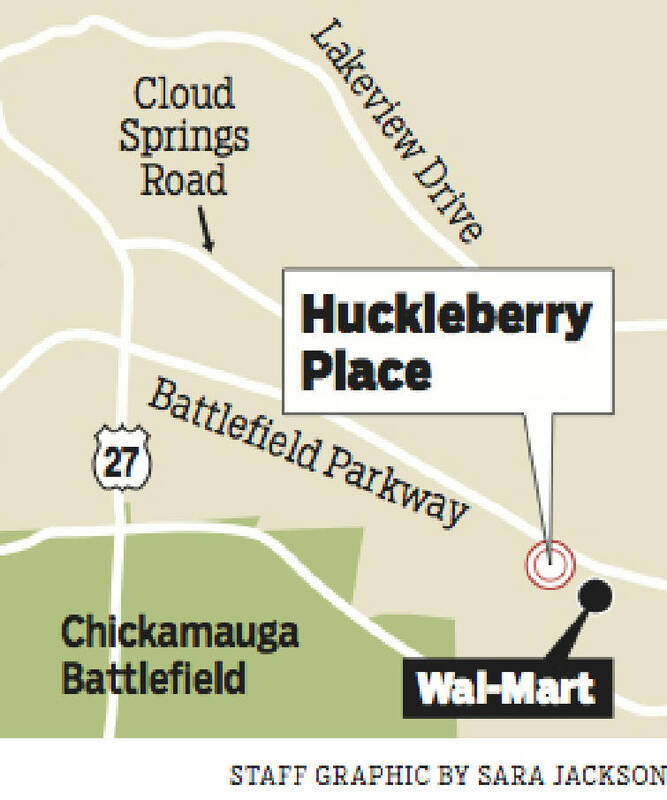 Huckleberry Place is expected to open in September off Battlefield Parkway near Wal-Mart. The $3.5 million project will house about 12,200 square feet of space, said developer Larry Armour of Armour Commercial Real Estate. In addition to the eatery, a Mattress Firm and Aspen Dental are included in the development, he said. It will sit in front of a separate shopping center developed by CBL & Associates Properties Inc. that includes a Hobby Lobby, Ross Dress for Less and other retailers. Armour said both sites are part of a 42-acre tract the company purchased a few years ago. It sold 12 acres to Chattanooga-based CBL where it developed Parkway Plaza over the past year or so. Site of new Fort Oglethorpe shopping center. Illustration by Sara Jackson /Times Free Press. The developer says a new shopping center on Battlefield Parkway includes retailers that are filling a void in the Fort Oglethorpe market. Armour said more than 8,000 truckloads of fill material were used to prep the site. "We've got equipment out there," he said Monday about Huckleberry Place. "We anticipate a couple of more announcements from retail users and restaurants this year." Keith Green, Catoosa County Commission chairman, said the retail scene in the area is going well after a slowdown during the recession. "We've definitely seen a positive trend," he said, adding the developments help provide sales taxes and jobs. Armour estimated that the new center will produce about 75 jobs. He said his company has developed about four retail projects in the county to date, including a Cabela's and a Costco off Interstate-75. Armour projected that about 500 jobs and over $200 million in annual retail sales are coming from the developments. More also could come adjacent to the Cabela's, he said, saying the county is both proactive and pro-business. Outdoors retailer Cabela's is slated for a May 13 grand opening for its 72,000-square-foot store that will employ about 200 workers. In October 2010, membership-only warehouse club Costco opened at the same exit with a workforce of about 180. To help open the Battlefield Parkway tract, the city and the county development authority last year agreed to spend $350,000 each to build a new intersection and place a traffic signal just west of Kellerhals Lane. Armour promised that if after seven years sales and property taxes don't generate $750,000 for the city and county, he'll make up the difference.